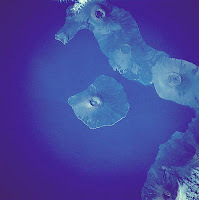 Where are the Galapagos Islands? What are Their Highlights? The Galapagos Islands are part of Ecuador and consist of a series of volcanic islands located in the eastern Pacific Ocean, just 600 miles off the west coast of South America. Though counted in different ways, they consist generally of 15 primary islands, 3-4 smaller islands and more than 100 rocks and islets.Other closeby land masses are Cocos Island, 447 miles to the north, and Easter Island, 1730 miles to the south. The northernmost island is Darwin, which is separated from the southernmost island – Espanola – by 137 miles. The total archipelago is 3040 square miles spread over 17000 square miles of the Pacific Ocean. 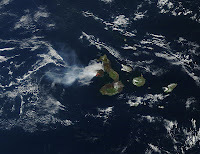 The Islands are located both north and south of the Equator. 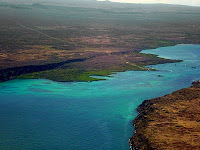 Baltra is one of the few Galapagos Islands formed not by a volcano, but by a seismic uplift, meaning that the earth’s crust was lifted by the shifting of the tectonic plates. Though the island itself is small, because it is flat and centrally located, Baltra houses the larger of two Galapagos Island airports; about 2/3 of the 2000 annual flights arriving to the Galapagos land at this airport. The others arrive in San Cristobal. At Baltra airport, tourists clear immigration before being transported by bus to cruise ships anchored at Aeolian Bay or to the dock at the Itabaca Canal where there is ferry service to the very proximate Santa Cruz Island. Beginning in 1942, Baltra was used by the United State's government as an airbase in the Pacific to protect the western approach to the Panama Canal. At the end of the war, the U.S. turned the base over to the Ecuadorian government which, in turn, offered much of the building infrastructure and materials to each head of household in the Galapagos. The airstrip evolved into the large airport that exists today. 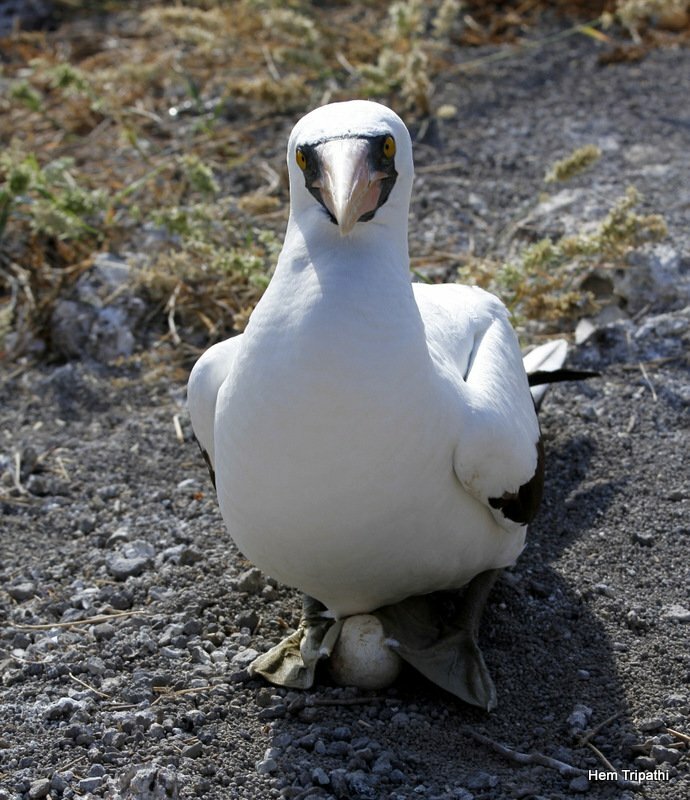 No specific visitor sites exist on Baltra, which is populated by much birdlife, including Nazca and Blue Footed Boobies as well as many frigatebirds. 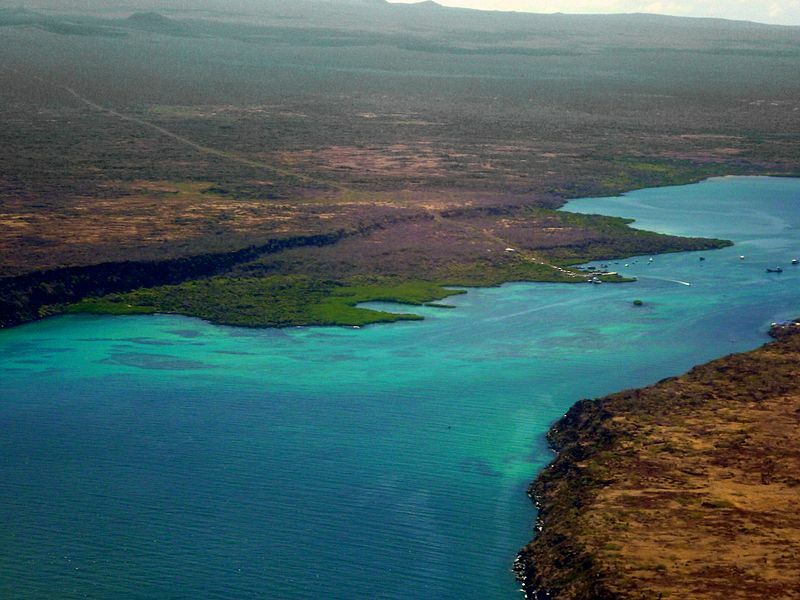 Baltra is arid and its vegetation is primarily salt bush, prickly pear cactus and Palo Santo trees. The largest conservation threats to Baltra are introduced species that arrive unintentionally by aircraft, both commercial and private. The small Bartolome Island has no human population, but is the home to one of the most recognized and photographed sites in all of the Galapagos Islands: Pinnacle Rock. Because it offers such a spectacular view, most Galapagos travelers will find themselves enjoying the splendors of this island. The Galapagos Conservancy confines visitors to a 600 meter wooden pathway with more than 300 steps to ensure as little impact on the surrounding endemic vegetation, animal and birdlife as possible. Look carefully at the rock and lava formations on your way up the climb as you will see very interesting volcanic formations of spatter and tuff cones and lava flows. Equally beautiful and enchanting is the beach for snorkeling and swimming. On Bartholomew, visitors will be delighted by bird watching and are likely to see Galapagos Penguins, herons and hawks. While you are snorkeling, White-tipped Sharks, Galapagos penguins, sea turtles, rays and many tropical fish are likely to accompany you. Espanola Island, the southernmost and one of the oldest islands in the archipelago, provides a breathtaking view waiting to be discovered by every Galapagos Island visitor. Punta Suarez offers a dry landing – be careful not to step on the Sea Lions! Up a marked trail, through some fascinating flora and fauna and many lava lizards, you arrive at your ultimate destination – the top of a cliff populated by Blue Footed Boobies and the nesting site for Waved Albatross. As you watch these magnificent creatures, take in the vista and feast your eyes on more birdlife flying above you. You will hear the Pacific Ocean roaring below you and see the amazing lava blow hole spewing waves and foam up to 30 feet high. Don’t be the least bit surprised if a brightly-colored iguana is soaking up the sun and seemingly enjoying the view along with you. Espanola has a second very special visitor’s site at Gardner Bay, an exquisite white sand beach perfect for walking and watching the frolicking and resting sea lions, hundreds of which may be seen here at any given time. Here too you are likely to see Espanola Mockingbirds and three species of Darwin finches. The youngest of the Galapagos Islands, Fernandina remains on the hot spot that created all of the islands and continues to erupt. 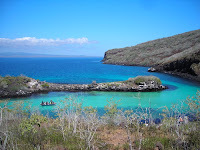 It is the westernmost and third largest of the Galapagos Islands. 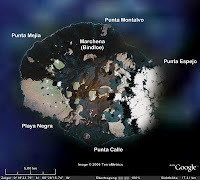 Fernandina is a shield volcano with a large caldera, which collapsed in 1968. The most recent eruptions were in 2005 and 2009. There is one very special visitation spot on the Island. 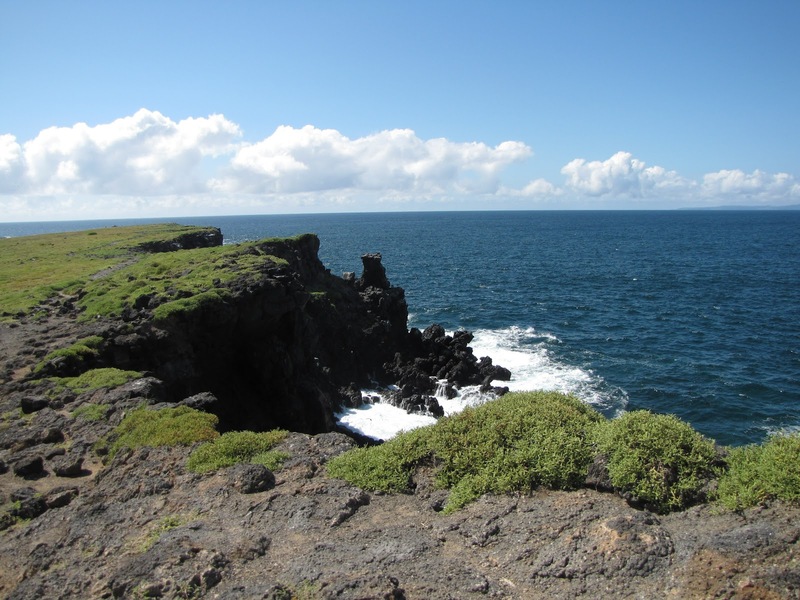 At Punta Espinosa you may be treated to a short walk around the peninsula and a longer walk to the edge of a large lava flow. There are countless marine iguanas; literally thousands of them pile on the shores and on each other basking in the sun. Other highlights of this island are Flightless Cormorants, penguins, sea lions, Sally Lightfoot Crabs and even Galapagos Hawks. As for flora and fauna, the lava cactus is one of only a very few species able to survive in this lava rock. Right off the coast of Fernandina is Mangle Point, a superior snorkeling and dive site and a beautiful location for riding in a panga through a grove of mangrove trees while viewing sea lions, tortoises, pelicans, rays and birds too numerous to name them all. Floreana, one of the older islands, is best known for the post office located at Post Office Bay. Since 1793, the post office has been operating in the same fashion. Drop off your mail, post marked to go anywhere in the world. While you are there, take a look through the mail that has been left by earlier visitors. If you come across a letter you are able to hand-deliver or mail to someone from your home town, you become the personal mail carrier. Also on Floreana is Punta Cormorant, a beach formed by the erosion of coral skeletons and olivine crystals, which is a nesting site for green sea turtles. 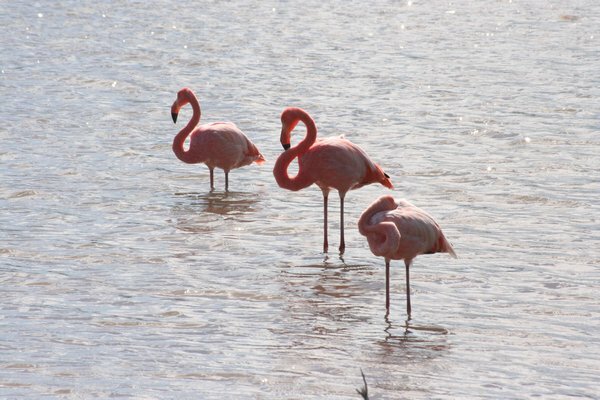 There is a rare fresh water lagoon which is the home to pink flamingoes, flycatchers and finch. There are several excellent snorkeling sites at Floreana as well. Take in the beautiful vista of the Pacific Ocean and the Island itself from the gorgeous Floreana Highlands. 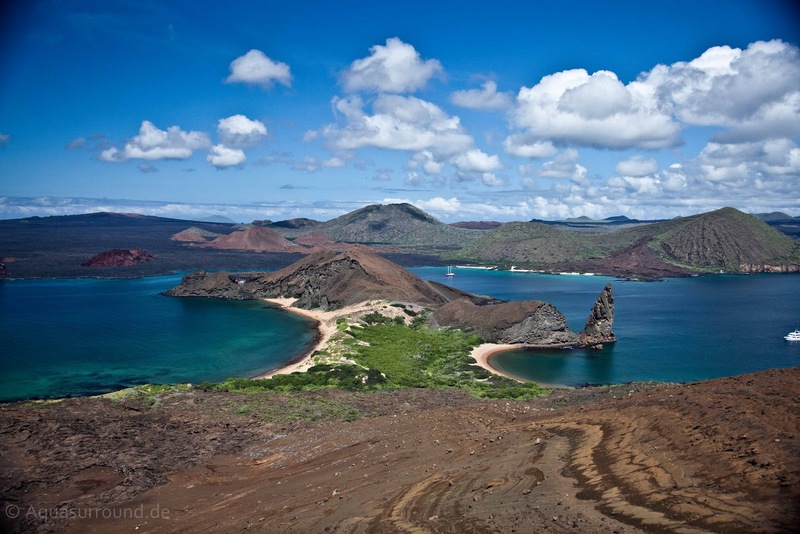 Genovesa is a remote island, often regarded as the most dazzling of the Galapagos Islands. Small, horseshoe shaped and pristine, it boasts a vast amount of birdlife including frigatebirds, Red-footed Boobies, Nazca Boobies, Gulls, Petrels, Red-billed Tropic Birds, Finches, Shearwaters and Mockingbirds. As a boat nears the island, it is often difficult to see as it may be covered in mist and rises only 250 feet above sea level. Darwin Bay forms a protected cove with an exquisite white sand beach; its trail winds through mangrove trees and tidal pools. The other notable visitor site is El Barranca, otherwise known as Prince Philip’s Steps. This is an extremely steep path, with a difficult dry landing, but well worth the effort. 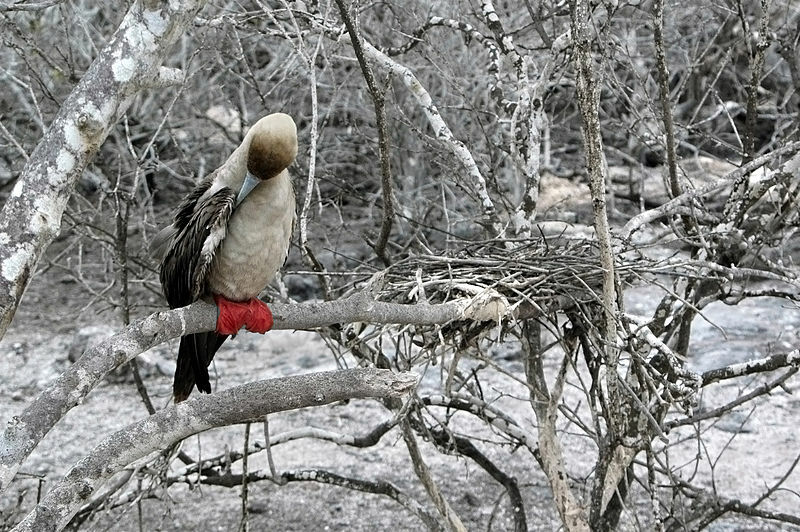 It is the home to many Red-footed Boobies (by some reports there are up to 40,000 pairs on Genovesa), which are the only Boobies that live in trees, specifically the Polo Santo trees along the cliff line. Four separate finch species make Genovesa Island their home. The town of Puerto Villamil is surrounded by extensive, white sandy beaches with lagoons and wetlands on its borders. A great place to absorb history and culture, the town provides shopping, Flamingo Lake, a Tortoise Breeding Station, the Wall of Tears (once part of an active penal colony on the island), swamps and mangroves, which are the home to a variety of bird species. There are three links to Isabela Island Visitor Sites. Start by reading about the individual stops and attractions accessible from Puerto Villamil. Elizabeth Bay is visited to see the mangroves by panga and for snorkeling. Nearby Moreno Point provides a moderately difficult hike over some truly incredible lava formations. The hike is all the more rewarding once you see your first green sea turtle or flamingo along the way. Tagus Cove, located across from Fernandina Island, offers a winding trail past Darwin Lake up to a ridge displaying wonderful views. Punta Tortuga, just north of Tagus Cove, is another lovely beach surrounded by mangroves. Urbina Bay is located at the base of Alcedo Volcano on the west coast, between Tagus Cove and Elizabeth Bay. This area and Vincent Roca Point are great places for snorkeling. 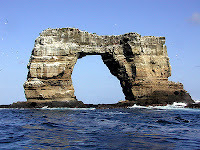 Vicente Roca Point is a large bay with spectacular sea life including seahorses, sea turtles, and Mola-mola (sunfish). Sierra Negra Volcano, the largest basaltic caldera in Galapagos, offers impressive views and the opportunity to observe up to 7 species of finch and a rich display of vegetation. The north side of the caldera provides evidence of its most recent volcanic activity in 2005. 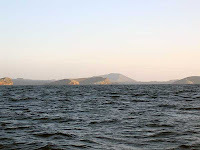 To read the complete post about Isabela visitor sites accessible by boat, including its beaches and coves, click here. To read the complete post about hiking Isabela's dramatic volcanoes, click here. Although classified as a “major” island, Marchena is quite small and hosts no separate visitor sites. It is a good location for SCUBA diving and snorkeling, however. 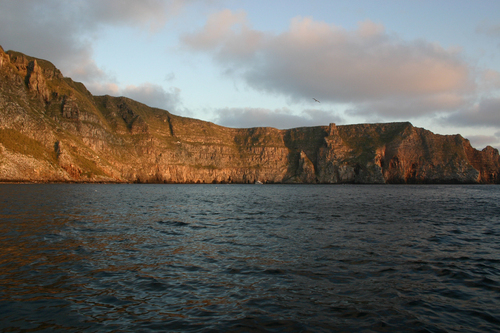 Tiny North Seymour Island, like Baltra, was created from a seismic uplift, giving it a rather flat profile. The birdlife is extraordinary on this island, although the vegetation is particularly scruffy and dry. There is a small forest of Palo Santo trees, which rarely is in bloom. You are likely to see Blue Footed Boobies, sea lions, land iguanas and even pelicans on North Seymour. Rabida Island (Jervis) is not on every Galapagos cruise, but its red/maroon sand beaches are a special attraction if you are lucky enough to get there. The salt-water lagoon’s pink flamingos, stilts and Bahama pintail ducks, as well as a bachelor sea lion colony located in the caves along the coastline are equally awesome. Snorkeling is exceptional around Rabida, where you are likely to see not only sea lions, but also marine iguanas and rays. Bird watchers may see up to nine varieties of finches, Large-billed Flycatchers, Galapagos Hawks and Brown Pelicans nesting in the salt brush. 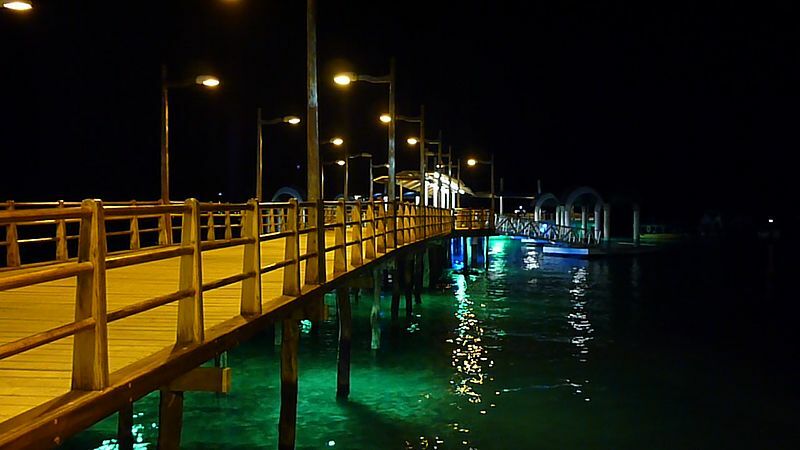 Puerto Baquerizo Moreno, the administrative capital of the Galapagos Islands and the main city on San Cristobal Island, has hotel, shopping and dining opportunities. On San Cristobal Island itself are the National Park’s Interpretation Center, Charles Darwin Tortoise Reserve, Frigatebird Hill, Darwin Bay, El Junco (a gorgeous fresh water lake), Puerto Chino (a surfer’s paradise), La Loberia and other equally breathtaking sites. A really special thing to do on San Cristobal is visit the coffee plantation where you can buy gifts to take home. 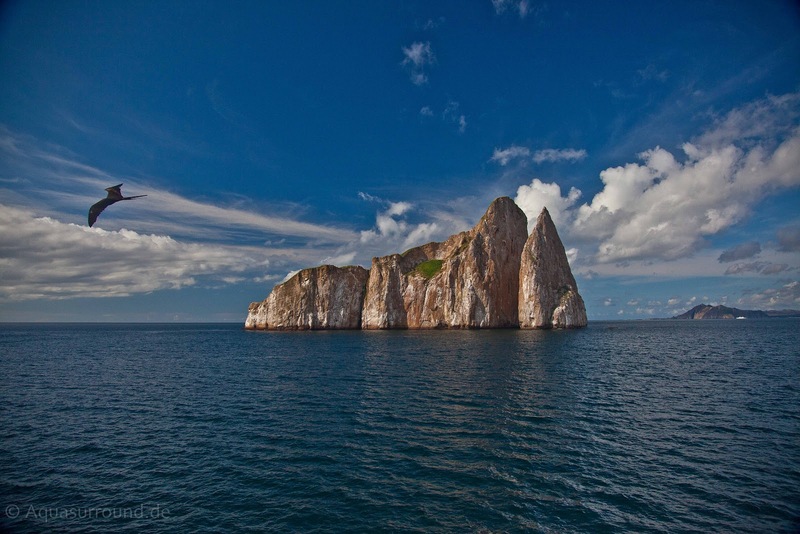 Just a short boat ride from the Island is the stunning and majestic Kicker Rock. Marine life here includes spotted eagle rays, harlequin wrasse, Galapagos penguin, Galapagos sharks, hammerhead sharks, as well as schools of rainbow runners, yellowtail grunts and other brightly-colored tropical fish. Located next to Kicker Rock is Puerto Grande, a protected cove with a white sandy beach - just perfect for a peaceful walk, swimming and photographic opportunities. Another nearby diving site is Caruga Wreck. 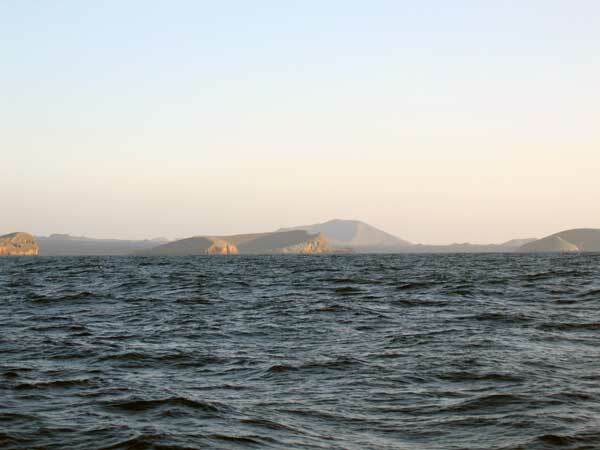 That it is the nesting ground for blue-footed boobies and frigate birds is enough to warrant a trip to Isla Lobos, a small rocky islet off the coast of San Cristobal. Here, and nearby Pitt Point, are favorite snorkeling and diving reefs populated by large schools of tropical fish including king angelfish, grunts, snappers, and Alamo jacks. Sea lions, octopus, rays, and whale sharks also are frequently seen nearby. Witch Hill will delight you with one of the most picturesque beaches in the Galapagos and is populated by sea turtles, rays and blue-footed boobies. The ever-popular and personable sea lions lounge on the beach and play in the water. The largest population center in the Galapagos Islands is Puerto Ayora on Santa Cruz Island. The most important visitation site on the Island is The Charles Darwin Research Station (CDRS), created in 1960 as a biological research station operated by the Charles Darwin Foundation. CDRS is where the Galapagos National Park Service started the conservation programs to protect and increase the number of tortoises so that they are no longer an endangered species. CDRS was the home of Lonesome George for more than 40 years until his death in June 2012. The Highlands of Santa Cruz offer exuberant flora, and are famous for the lava tunnels. Large tortoise populations are found here. Black Turtle Cove is a site surrounded by mangroves, which sea turtles, rays and small sharks sometimes use as a mating area. Cerro Dragón, known for its flamingo lagoon, is also located here, and along the trail one may see land iguanas. Sante Fe Island, created by a geological uplift, is well-known for its snorkeling and for its beautiful lagoon. Your panga will land on a lovely beach from which you will be led on a trail into the opuntia cactus forest. These cacti are so large and prolific that they actually look like trees and at the right time of year you will see their stunning yellow flowers. Don’t miss the land iguanas (larger and paler in color than others in the Galapagos), lava lizards, x-spiders, doves, hawks, gulls with chicks and other birdlife along the way. Egas Point, replete with delightful little flycatcher birds, is the primary visiting site on Santiago Island. Don’t be surprised if a little flycatcher lands on your head, hands, camera or anything else. Also prolific on Santiago at Egas Point are marine iguanas, sea lions, fur seals, and both land and sea turtles. 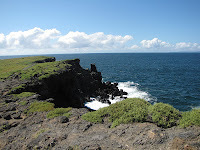 The other special attraction on Santiago Island is the fur seal grotto. This is the only Galapagos Island where you are likely to see them. Very few tourists are allowed to visit the two small islands of Daphne Major and Daphne Minor, but the islands are significant as the locale for important finch population studies. Daphne is also a popular SCUBA dive site. Your cruise nearby the Island will bring you within sight of not only finches, but also Nazca boobies, owls, martins, and Red-billed Tropic Birds. This small island has no visitor sites, but is home to fur seals, frigatebirds, marine iguanas, swallow-tailed gulls, sea lions, whales, marine turtles, and red-footed and Nazca boobies. Pinzon has no visitor sites, but is considered to be the geographical center of the Galapagos Island group and excellent for SCUBA divers. The island is bound by cliffs on all sides. Marine life includes sea turtles, eels, rays, marine iguanas, dolphins and even lobsters. 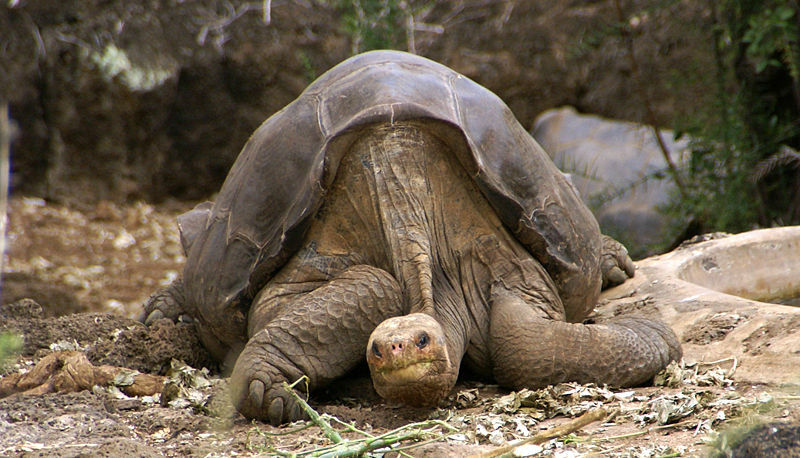 Pinta Island is best known as the home of Lonesome George who, until his death in June 2012, was the last known example of his subspecies of giant Galapagos tourist. 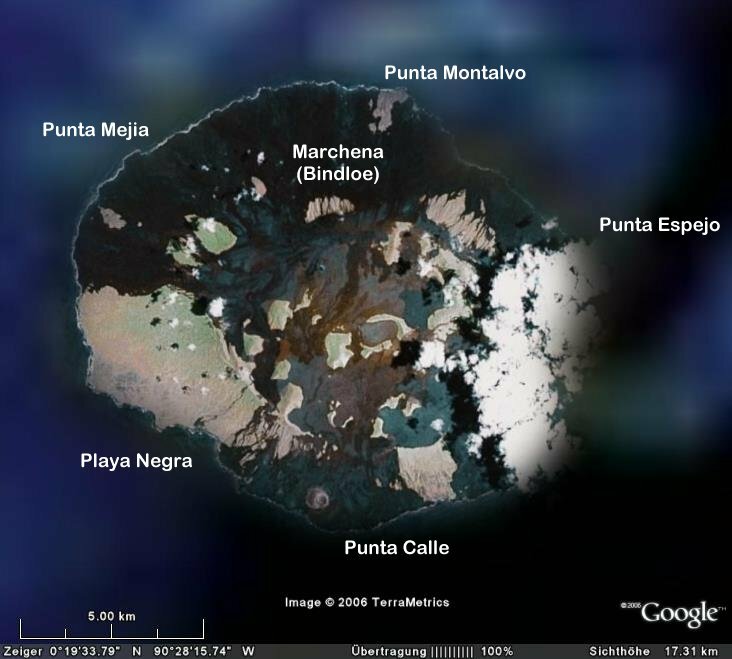 Pinta, the most northern island, has no visitor’s sites currently. South Plaza Island is extremely beautiful and a wonderful opportunity to see Galapagos wildlife and vegetation. North Plaza Island is not opened to visitors, but used strictly for scientific research at this time. South Plaza Island has a huge population of yellowish/brown land iguanas. You may walk along the beach and view the sea lions on South Plaza and some visitors find this a fun place to swim. The snorkeling is also excellent. Wolf is a tiny island, and not often visited. 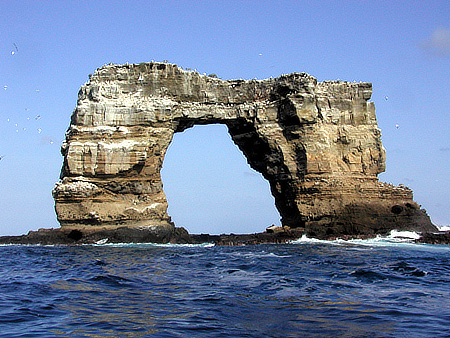 It is home to fur seals, frigatebirds, Nazca and Red-Footed Boobies and many other examples of marine life. NAMELESS ISLAND: This is a small islet used mostly for SCUBA divers.